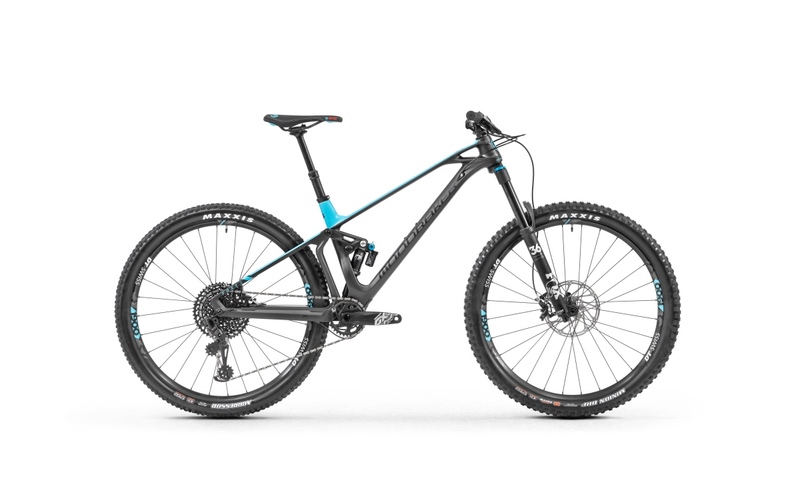 The new Foxy Carbon 29 has a 66º head angle (adjustable to 65º), with 160mm fork with short 44mm offsets, 150mm rear suspension travel, and short 435mm chainstays. 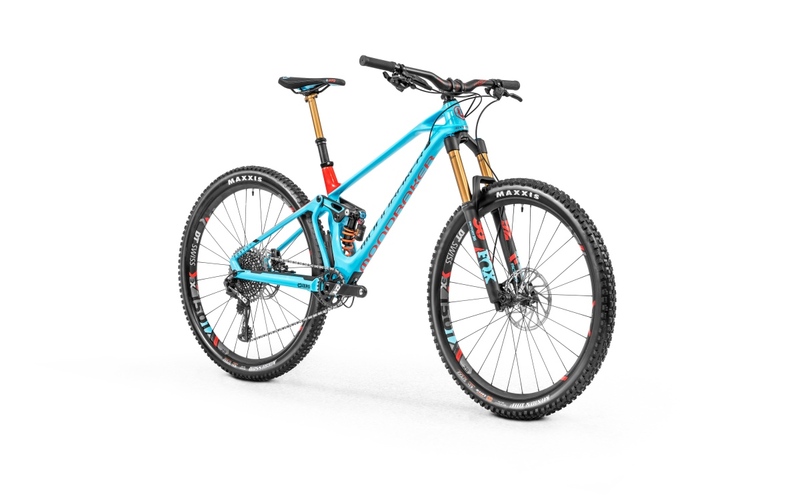 Meet the all-new Foxy Carbon 29. 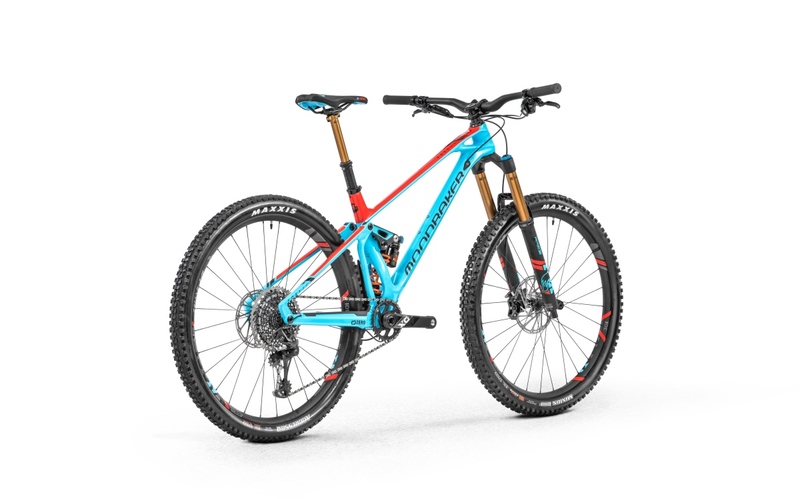 Following the introduction of the Foxy Carbon in 2018, Mondraker’s most popular model now welcomes a 29er sibling. After years in development, its arrival marks the perfect celebration of Mondraker’s 15th anniversary. The new bike accepts a metric sized shock with Trunnion mount. 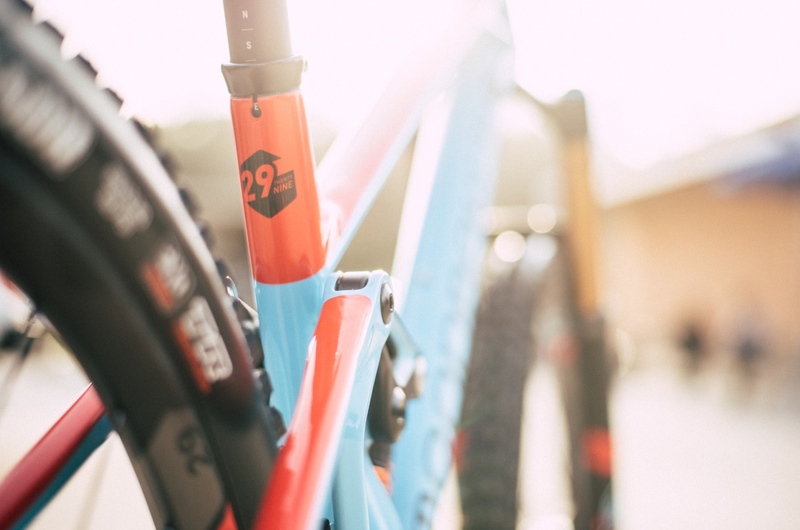 Foxy 29 combines several of Mondraker’s signature features into a single package optimized around 29er wheels. 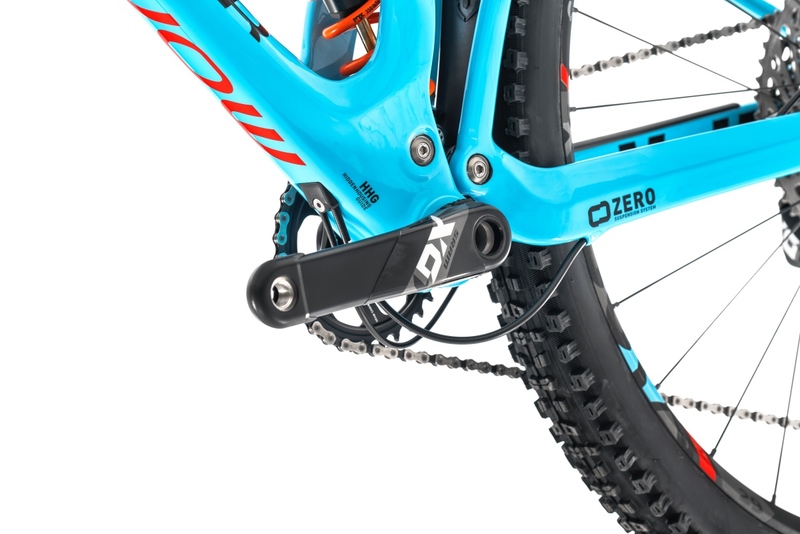 Their proprietary, floating Zero Suspension System is specifically adapted to provide snappier response and better pedaling efficiency with larger diameter wheels. 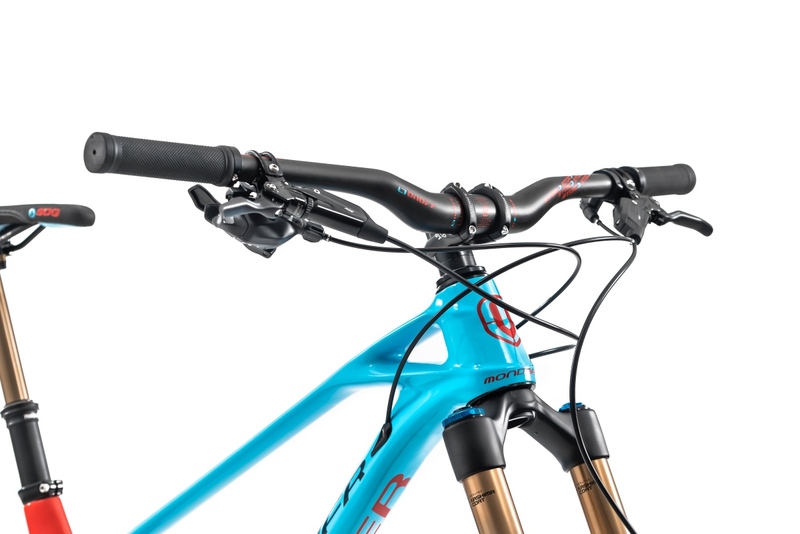 A revised rear suspension pivot delivers higher anti-squat figures, yielding the aforementioned crisper acceleration, a stable yet agile ride, and a full 150mm of impact eating suspension. Here’s the geo chart. Click the image to enlarge. Mondraker is widely credited with pioneering modern mountain bike geometry back in 2013 with the introduction of Forward Geometry, which offers greater stability and control at higher speeds, optimal rider placement, increased traction, and superior handling. The frame is subjected to a process of fiber compression through a vacuum at high pressure. 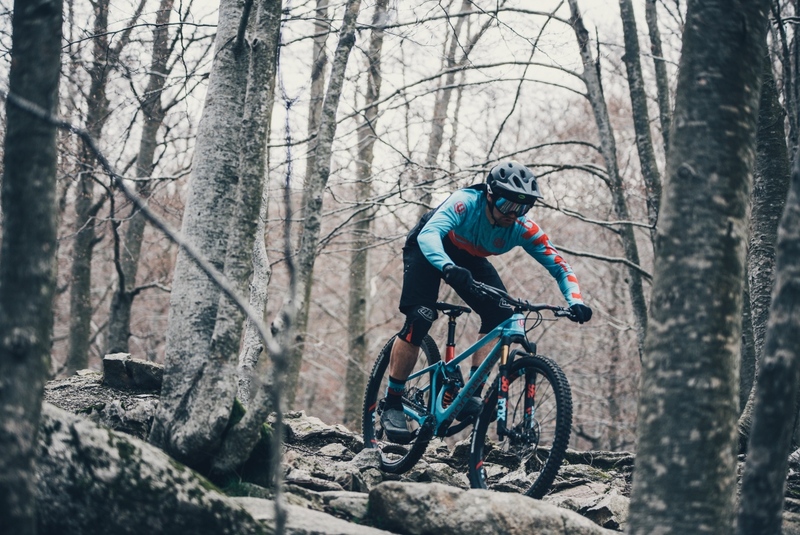 The new Foxy 29 has 150mm of rear travel and a 160mm travel fork with a short 44mm offset, which is mated to a 66-degree head angle (adjustable down to 65-degrees). Combine this with a long top tube and 30mm stem and the result is a balanced ride. 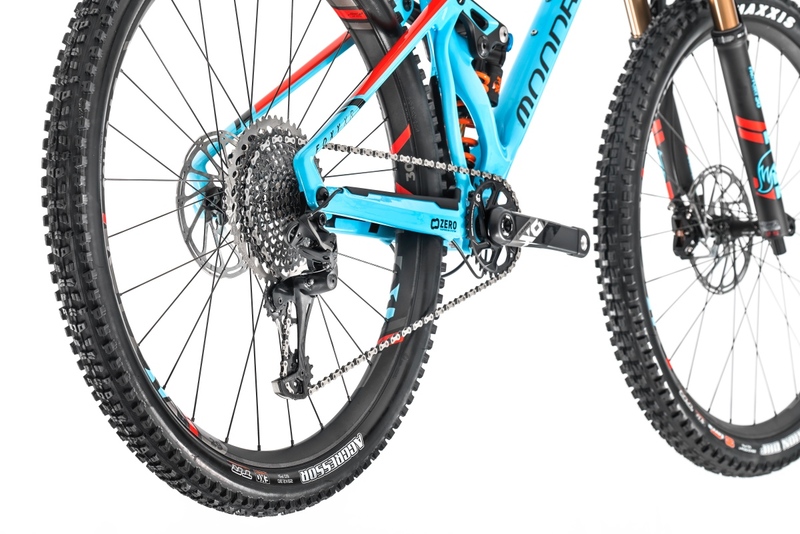 Foxy Carbon 29 features boost hub spacing, increasing tire clearance. This follows a layup technique which utilizes precisely shaped internal and external molds within a Vacuum Compression Process. The result is a lightweight frame that achieves class strength and rigidity. 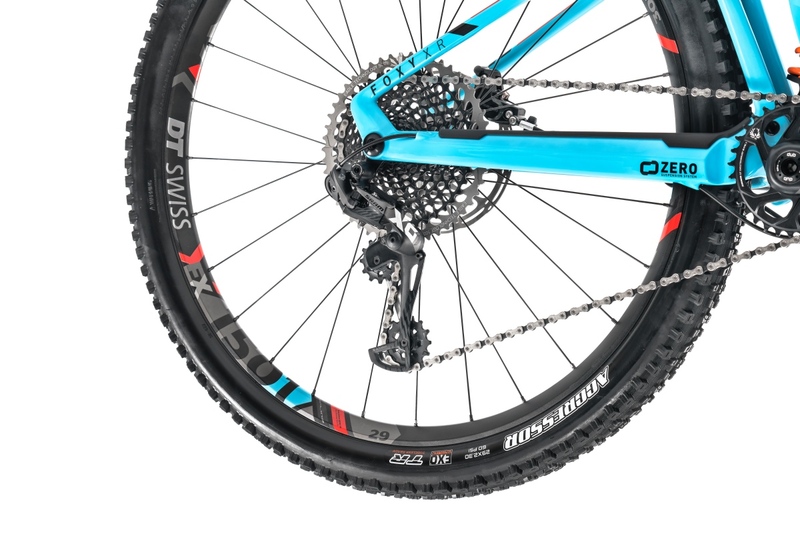 The more forward front wheel axle provides greater stability even on really steep trails. The new Foxy Carbon 29 has a 66º head angle (adjustable to 65º), with a 160mm fork with short 44mm offsets, 150mm rear suspension travel, and short 435mm chainstays. 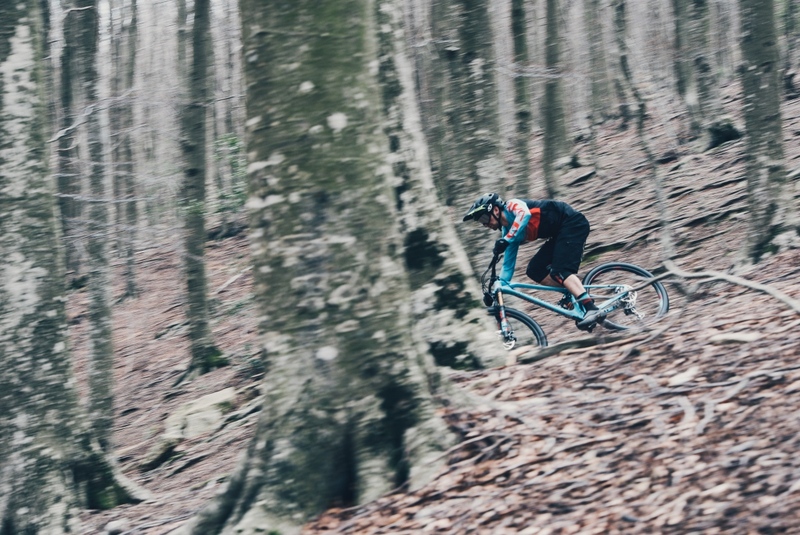 Shorter offsets combined with Forward Geometry translates into a more playful ride. 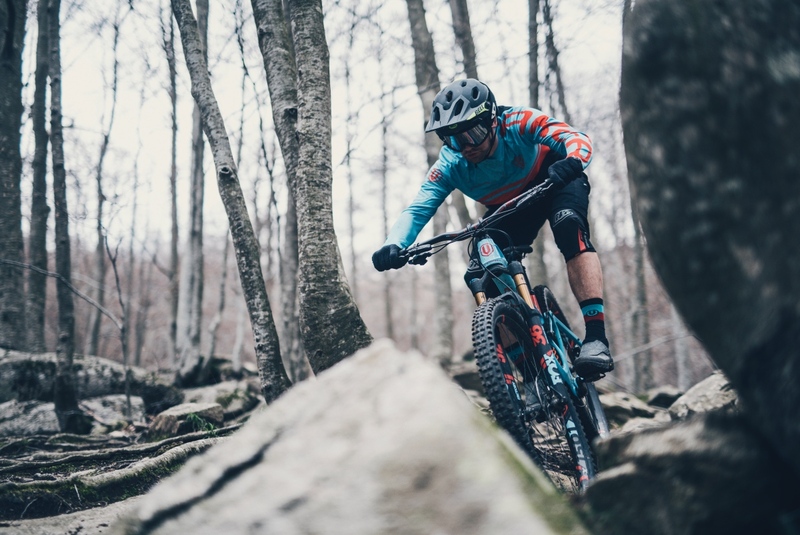 Mondarker’s Forward Geometry has evolved to accommodate bigger wheels with dedicated measurements to get the best balance, handling, grip and overall performance. Modifying rear suspension pivot placements lead to higher anti-squat figures that result in crisper acceleration. 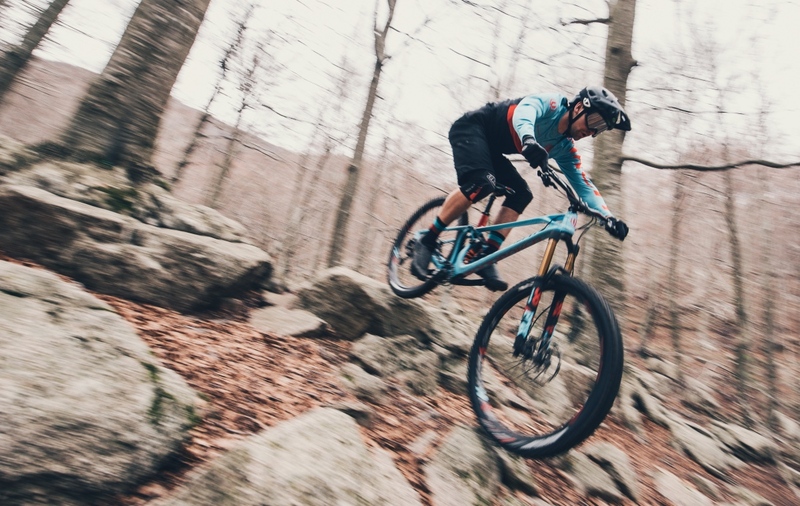 The Zero Suspension System has been specifically developed for 29er wheels with snappier response and better pedaling efficiency. 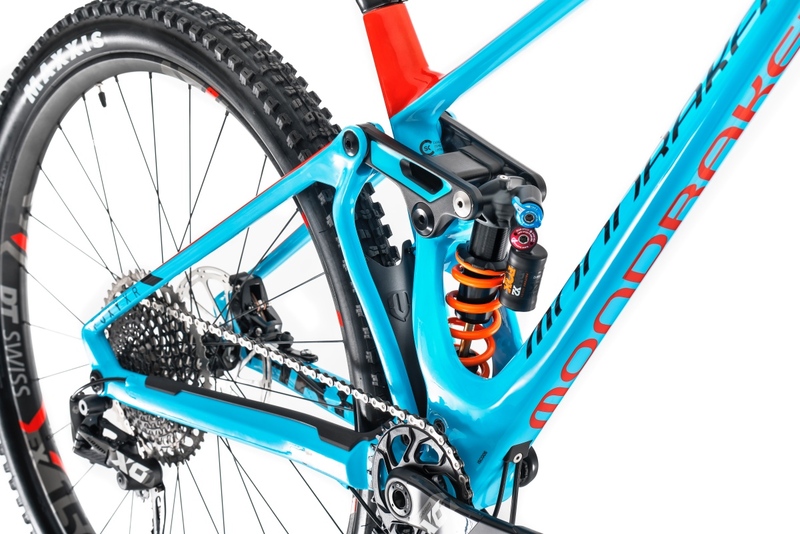 All Foxy Carbon 29 R, RR and XR models feature FOX DPX2 and DHX2 metric Trunnion shocks. 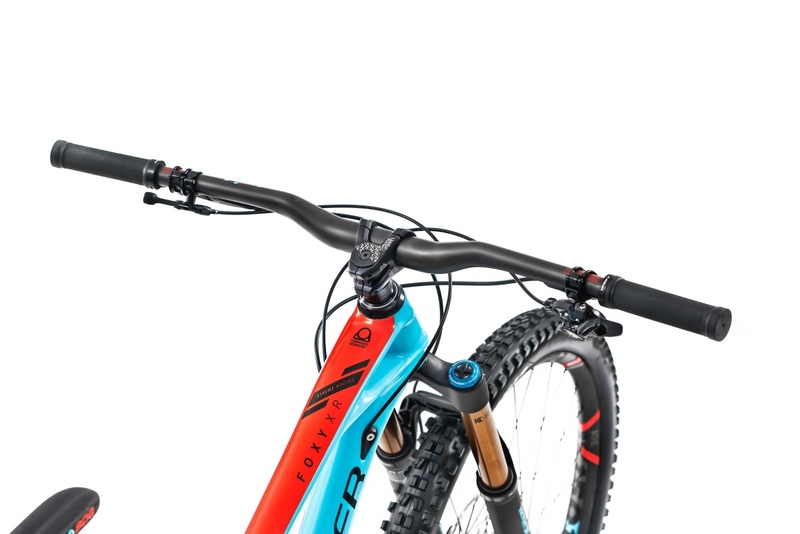 The increase in trail boosts steering stability with a 66º standard (and adjustable) head angle with 160mm forks. The adjustable geometry kit includes the additional cups to steepen or slacken the head angle. The full carbon swingarm design features a protective mudguard for the rear shock, keeping the suspension system cleaner when riding in muddy or very dusty conditions. 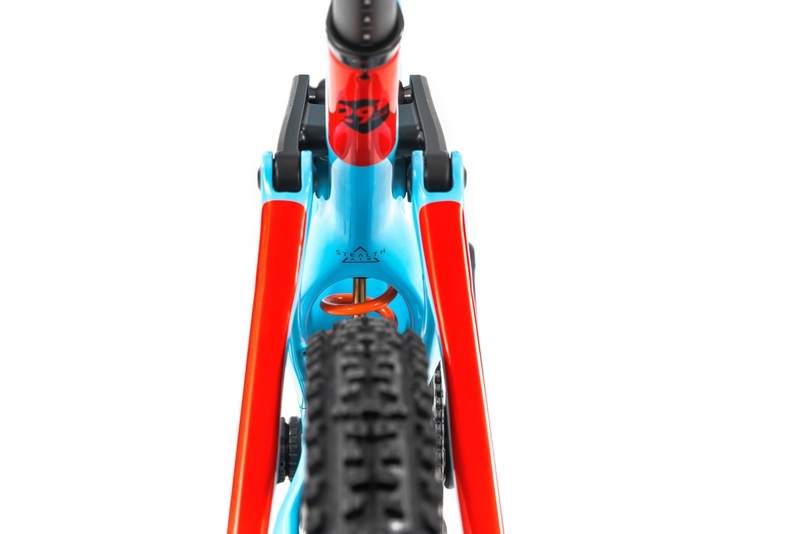 Foxy Carbon 29 has internal guides for the rear derailleur cable, rear brake line and internally routed seatpost. 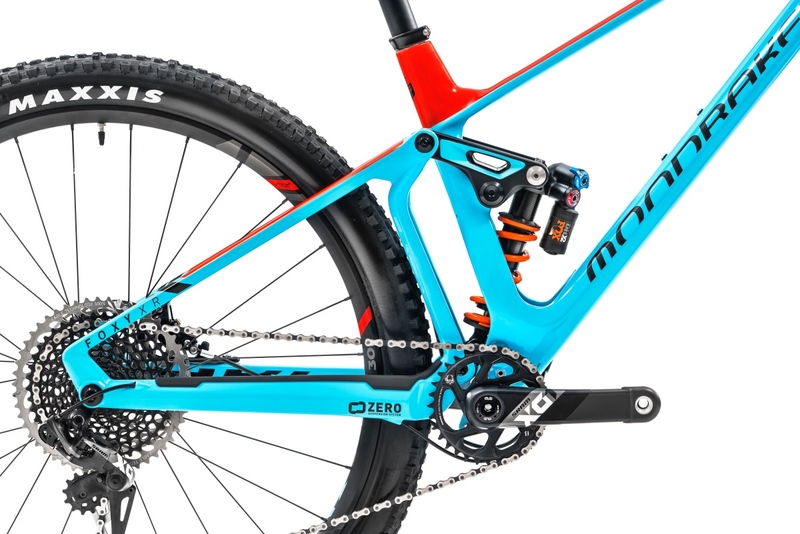 Zero is the virtual pivot suspension system developed and patented by Mondraker, consisting of two links that compress and control the shock movement at its both ends.